The head of Vladimir Lenin stares at me. 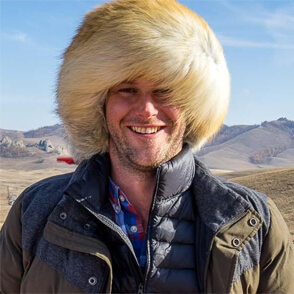 Not the actual head, obviously. That’s safely protected inside his mausoleum in the centre of Moscow. I wouldn’t have been able to just walk up to that one without anybody stopping me to ask where I was going. No, this one was easy enough to get to once I knew where I was going. Knowing where to go was the tricky bit. This head of Lenin is not really advertised anywhere and is not intended to be seen by people like me. 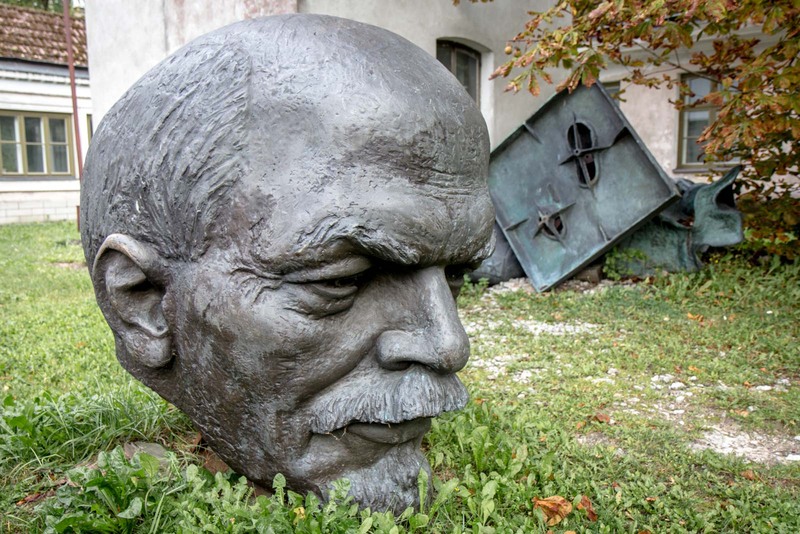 Lenin’s head, in this situation, is made of metal. It was once attached to a metal body that was decapitated long ago. I’m not sure where the body is these days, if it even still exists. The point of this story is that nobody really cares. This head, just like the body, has no value in the eyes of the people who now have possession of it. 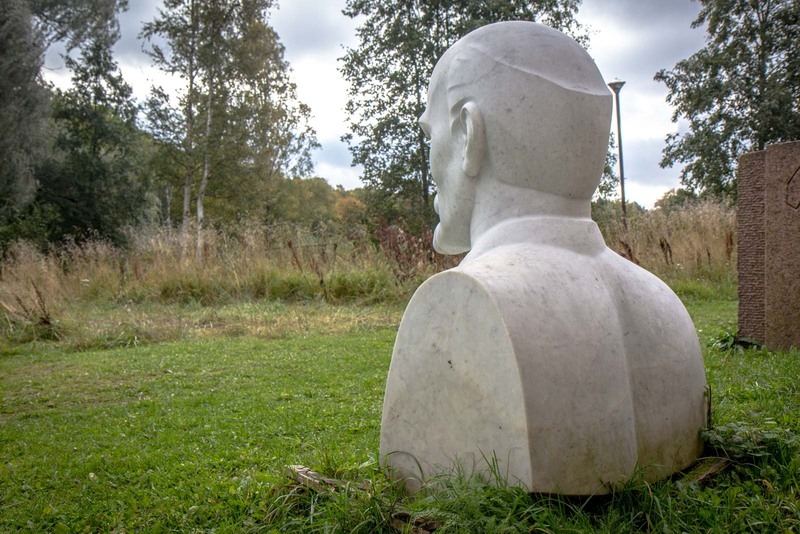 This head of Lenin that I’m looking at is just one of about a dozen statues that have been dumped behind a building on the outskirts of Estonia’s capital, Tallinn. They are all from the former Soviet era that came crashing down when the Iron Curtain fell. 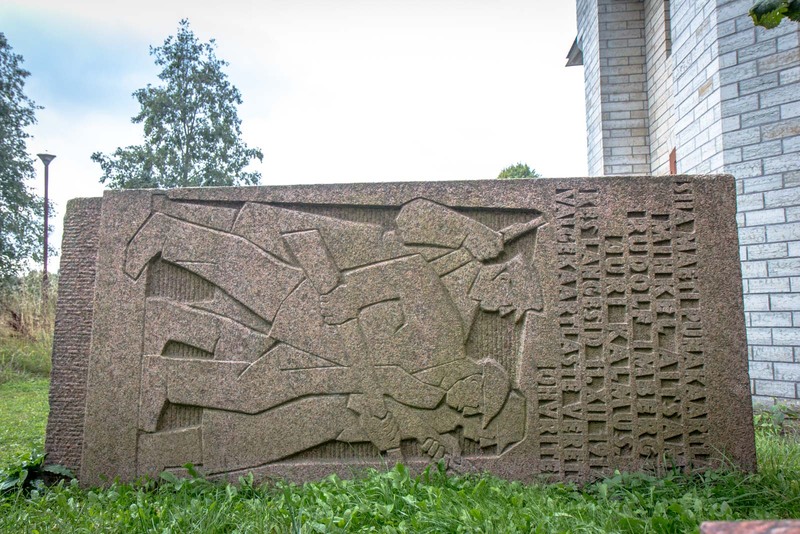 These symbols of Soviet strength, of Soviet superiority, of Soviet dominance, were all meaningless to Estonia when the country gained its independence. In fact, they were more than meaningless. They were offensive. So they were torn down. Some of them were cut up. Some were left complete. And then they were dumped. Here. Behind a building away from the city centre. The building has some significance – it is now part of the Museum of Estonian History – but the statues are not part of the exhibition. It’s almost a coincidence that there’s a link between the location and the origin of the statues. It’s much more likely that this empty plot behind the museum was available and out of sight. All I need to do is walk through an archway at the side of the building and follow the wall around to the back. As I’m heading towards the back of the building, a worker opens a door and appears outside. He looks at me briefly and then just walks away to smoke a cigarette. He doesn’t seem too concerned. I’m sure I’m not the first traveller who has come looking for these statues. There is the head of Lenin, which we’ve already discussed. Based on the cranial size, this must have once been the biggest statue. 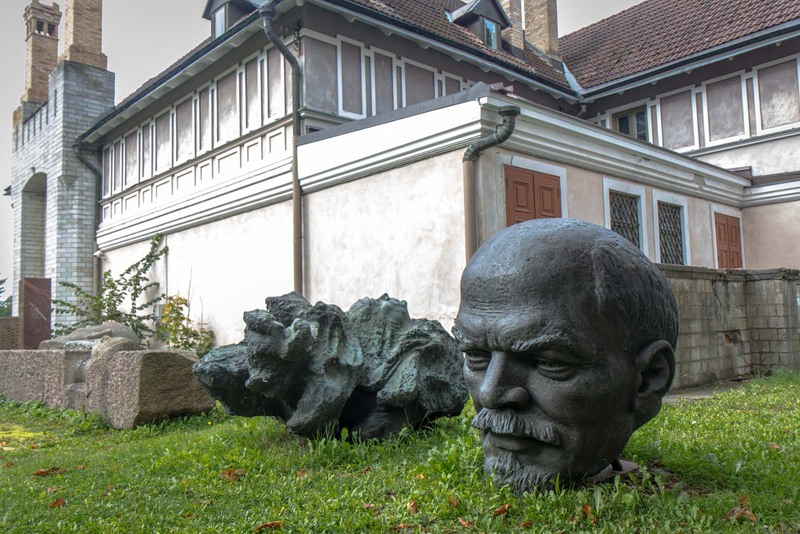 There’s another head of Lenin on one side of the collection – this one slightly smaller and made of white marble. 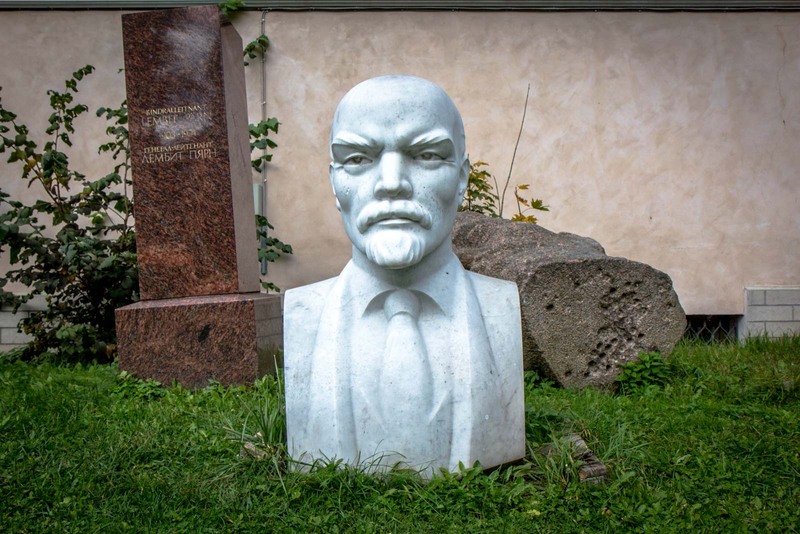 On the other edge is a complete Lenin, head attached. He is made of metal and stands more than twice my height (so, about 4 metres high). He is dressed in a suit, one hand holding his lapel and the other clasping a hat near his waist. In between are all sorts of other Soviet relics. There is a statue of Stalin that is lying horizontal on the grass with weeds growing around it. Nearby is a warrior made of concrete with a helmet in his hand and medals on his chest has been cut in two. And then there’s a tumble of metal pieces strewn across each other that, if fitted together again like a jigsaw, would make a grand centrepiece of brawny men carrying their empire’s power with them. I don’t recognise some of the other things that have been dumped here. This statue graveyard is odd, to say the least. Everything here seems to fit into some kind of purgatorial limbo. The statues are not respected enough to be displayed as history but are culturally significant enough to not just be destroyed. Are the Estonians hedging their bets, prepared to put them back on the streets if the Russians suddenly invade again one day, like the ugly vase your grandmother gave you? It makes for an interesting little expedition this morning, though. I find the dozen or so items dumped here interesting. But what is more interesting is the mindset that led to the abandonment itself. That says as much about Estonia today as the statues do about Estonia before the Iron Curtain fell. 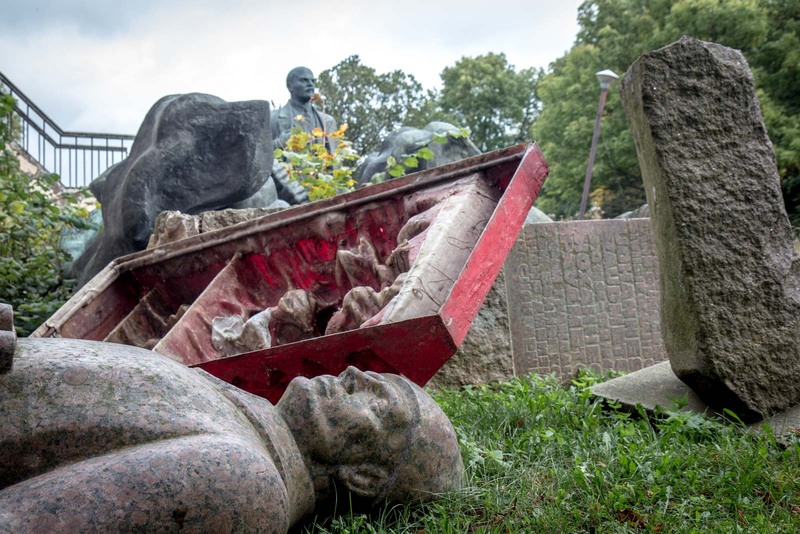 The statues at this particular Soviet statue graveyard look massive. I always try to find the resting places of Soviet statues – because they are so impressive yet so meaningless and useless. Some of them are really big. And when you see just the head and it’s enormous, you can only imagine how big the original statue was! That’s just what I thought too! I think it was treated like a dumping ground originally but now it has a bit more of a solemn feel to it. Wow! One would have never thought that these statues will get an all new life view perspective. 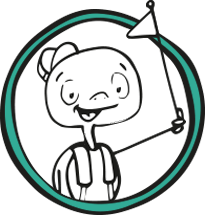 Thanks for making and sharing those pics! Happy to see the grass taking over. A nice remembrance of the times that should never return. Yeah – the grass adds a kind of eerie feel to it all, doesn’t it? It’s rather beautiful in an odd way. I don’t think it is well known at all. Most people probably wouldn’t visit it – which makes the discovery of somewhere like this even more special! It is so interesting that so many of these statues embodying memories of Soviet power were all dumped in the same place. This symbolic abandoned “graveyard” raises some interesting thoughts and emotions linked to the time before the Iron Curtain fell. Really cool post. I’m assuming they were dumped by the same people – probalby some Estonian officials – and they just needed a place to get rid of them. But it certainly makes you think, you’re right about that! Have you visited the similar statue graveyard in Budapest?… although the Budapest is an actual attraction with a ticket price. I didn’t know about the one in Budapest when I was there a few years ago. I’ve been meaning to go back to Hungary for a while so will have to look it up next time. Thanks! Hi there. It is behind the Maarjamae Palace (run by Estonian History Museum) which is at Pirita tee 56. If you zoom in on the map at the top of the post, the marker is at the exact location. Good luck! 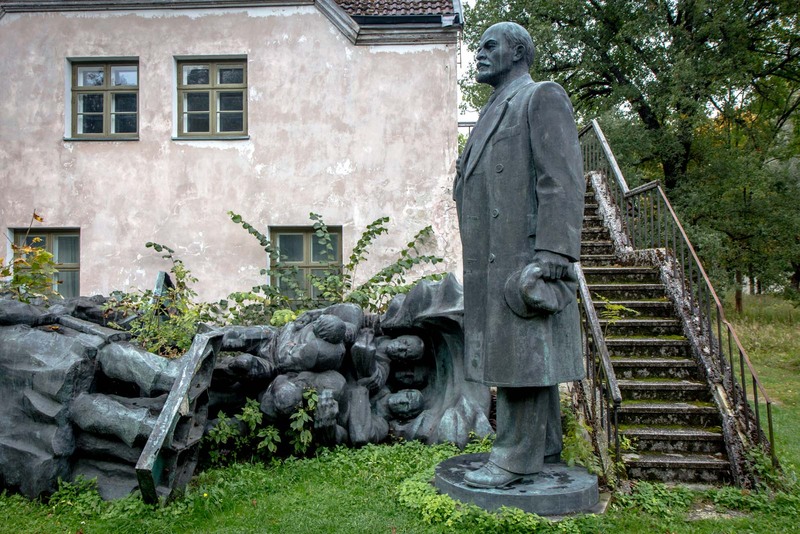 It’s not really a dumping ground for these Soviet statues. 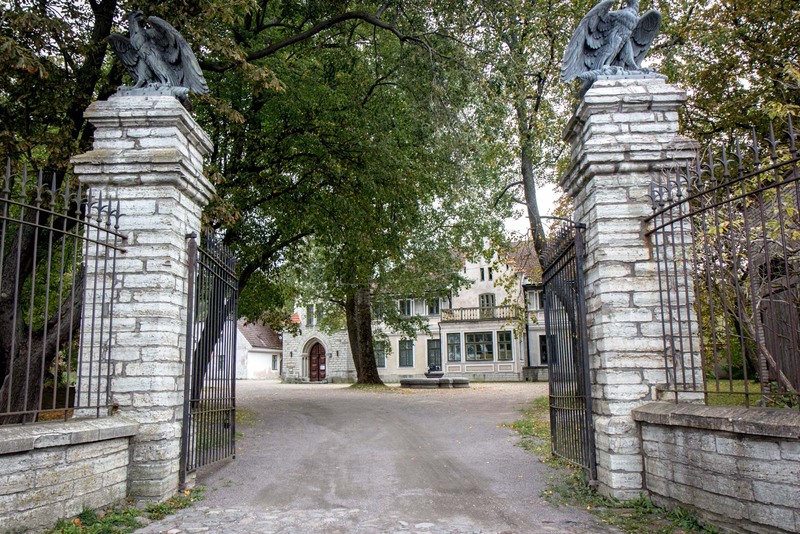 Estonian History Museum has been collecting them and will open the Monuments Park next year which will display the monuments as works of art, in a new neutral context. Ah, that’s very interesting to know. I would be keen to see that when it opens! The statues have now been put on display in a small garden behind the museum, but the museum is closed. The statues can be partially seen from a distance through a fence. This is simply an amazing blog post. Good work, keep it up! I would like to go there. Is it still there? May I stay in a building nearby.